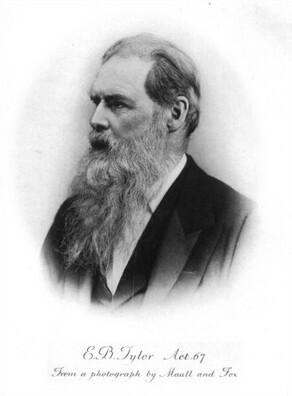 Animism is a belief common in many different religions and philosophies. It is the belief that there are spiritual beings in plants and animals. Many animistic religions also believe that acts of nature, for example - the wind and rain, and geographic features, for example - mountains and rivers, have spirits in them. 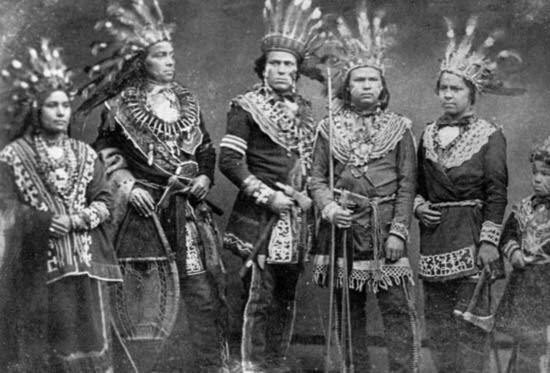 Five Ojibwe chiefs in the 19th century; it was anthropological studies of Ojibwe religion that resulted in the development of the "new animism"
A tableau presenting figures of various cultures filling in mediator-like roles, often being termed as "shaman" in the literature. Animist altar, Bozo village, Mopti, Bandiagara, Mali in 1972. Animism Facts for Kids. Kiddle Encyclopedia.